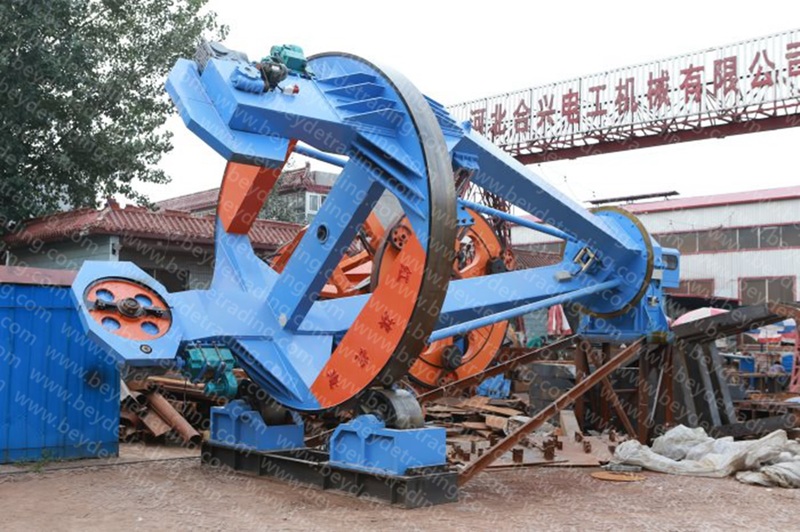 This machine is mainly used to strand the large section or long cable, and it can strand in pre-spiralling or non pre-spiralling separately. 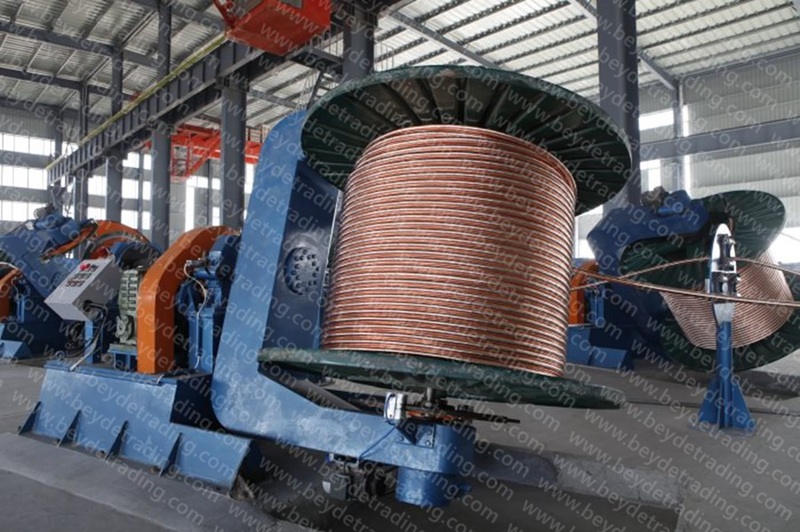 Furthermore, it can also be used to armour steel cable or copper shield. 1. 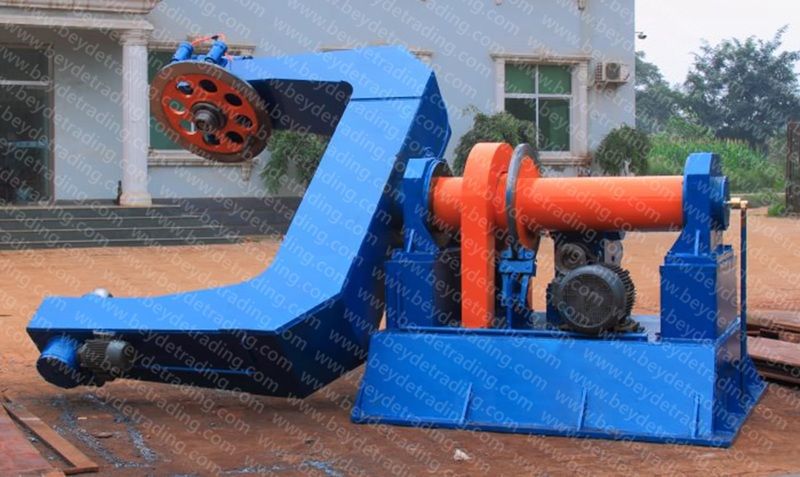 It adopts new type drum twisting structure, then it is highly efficient and convenient. 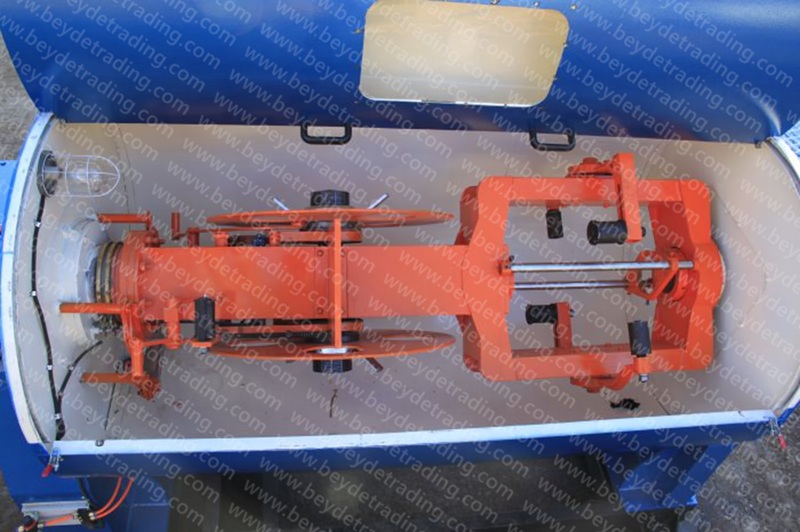 2.This machine includes tape lapper, pedrail driven and rotary take-up. 3.They are operated with other machines, so its pitch is exact. 4. The pay-off adopts single motor gyration which can keep rotating with the rotary take-up or remains working by itself. 5.The pay-off is passive style, and the tensile force is adjustable. 6.The take-up adopts up-wheel structure to strengthen the rigid, steady and reliability. 7.It is equipped with multi-safeguards which can be manipulated easily and reliably.